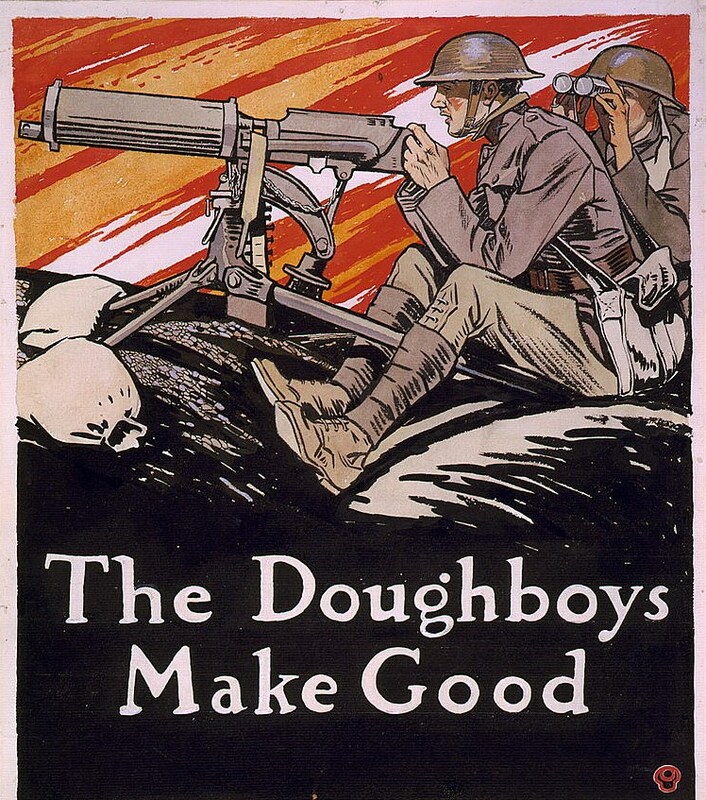 Have you researched to see if there was an American ‘Doughboy’ in your family tree? 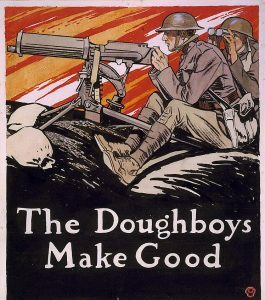 First, you need to know that a ‘Doughboy’ was an American soldier with the U. S. Army or Marine Corps during World War One (what was known then as the ‘Great War’). The term was first used during the Mexican-American War from 1846-1848. 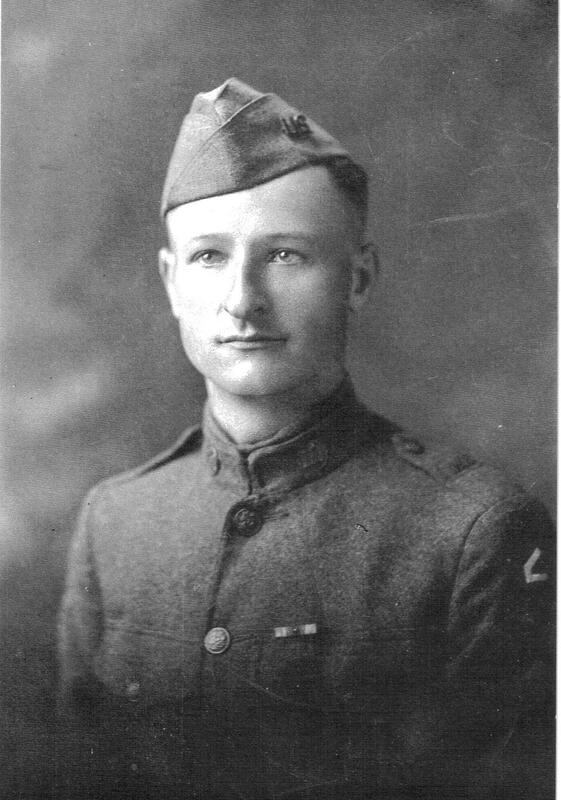 Several ideas of how it started, might include that U.S. infantry forces were constantly covered with chalky dust from marching through the dry terrain of northern Mexico, making them look doughy. It became very popular during the Great War. It began on April 6, 1917 when America declared war on Germany, who had already been fighting with most of Europe for three years. In spite of being neutral while Europe was at war, many tragedies happened to American civilians and businesses. Ships at sea were attacked and Americans killed. Once explosions began on American soil, especially in New Jersey, Americans no longer remained isolated. 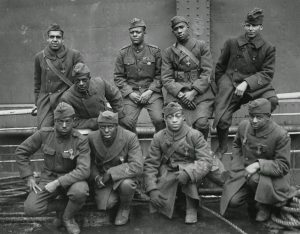 Because of the new Selective Service Act from Congress as of May 18, 1917, every males between the ages of 21 to 30 were required to register for military service. At the request of the War Department, Congress amended the law in August 1918 to expand the age range to include all men 18 to 45. It didn’t matter if the male was born in the USA or native to another country. If they lived in USA, they had to complete the draft registration forms. This included men in local, state or national prisons. The first set of registrations happened across the nation on June 5, 1917; in big and small towns. So for future family researchers, you would have a great source to learn more details about some of the males on the family tree. Use the Selective Service Draft Registration cards on the free FamilySearch.org site. You never know who you might find. Try different locations and name spellings. A good deal of information is on each card including the person’s signature. 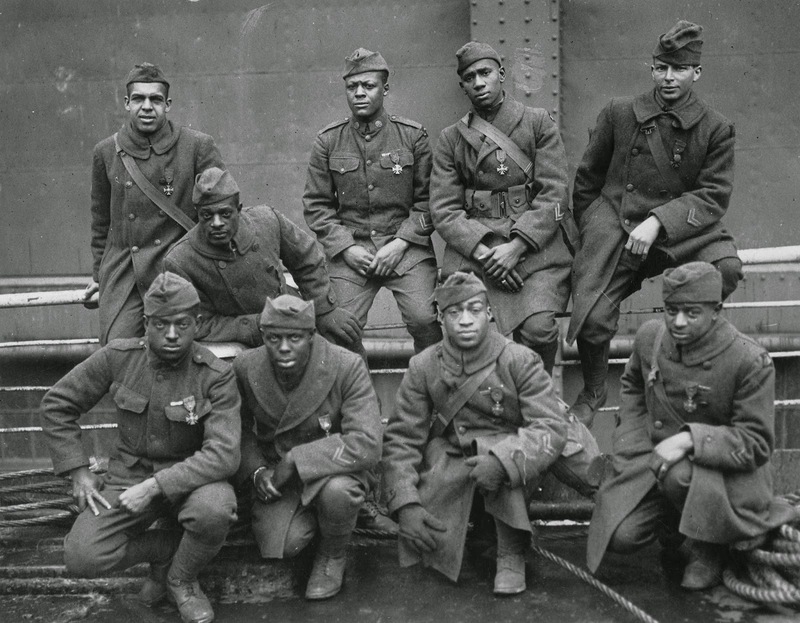 Mark this historic 100 years with locating all those in your family who may have served or did in fact serve in the military. 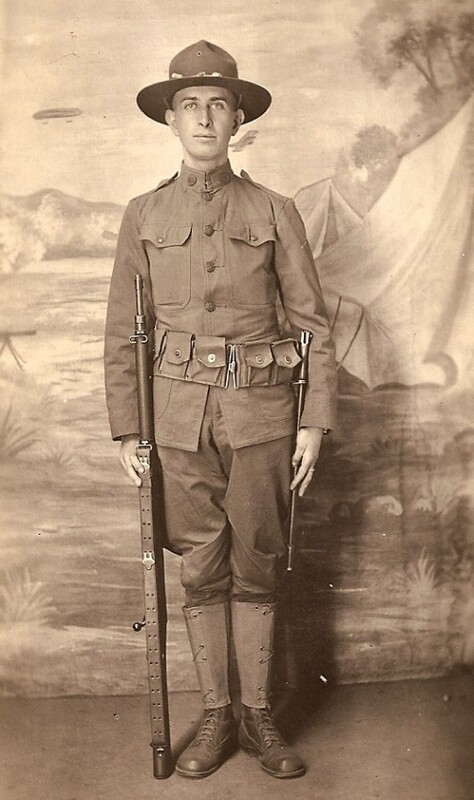 Photos: Portrait of John Joseph Straukas, in 1918 at age 28 during WW One; popular photo style with soldier Enfield in 1917 and cover of Collier’s Magazine and troops of African-Americans a group Harlem Hellfighters also.